IMPERIUM ROMANUM is the result of many years of my hard work. Knowledge about the history of Rome is huge and extremely wide. The Internet is very poor in information about this ancient state, what I try to change through the website. Thanks to it, many people can easily find important information and satisfy their curiosity. From early beginning, I was focused on one main goal: to gather as much information about ancient Rome as possible, in one place and promote it on the Internet. Many times, basing on the articles on IMPERIUM ROMANUM, students learned for the exams and people fascinated with history satisfied their curiosity. Currently, many materials about ancient Rome are scattered in various publications, inaccurately explained or simply are inaccessible because of the language barrier. I am tring to remove those limits and let others broaden their knowledge. Currently server/domain payments, optimization and development of website and the process of creating an English version of website require a large financial contribution from my side. 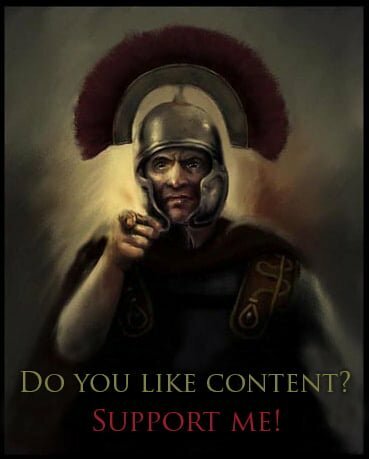 So if you have the opportunity to financially support the further development of IMPERIUM ROMANUM – even with smaller amount – I will be very grateful. In return, I promise that I will not stop my work and continue to spread knowledge about ancient Rome on the Internet. Below, for your convenience, four methods of payment. Thank you all for your payments!